It's always a fun debate night when your favorite network is hosting the shindig. It''s even more fun when a fearless female reporter and TV correspondent you've been watching for years is co-moderating the event. 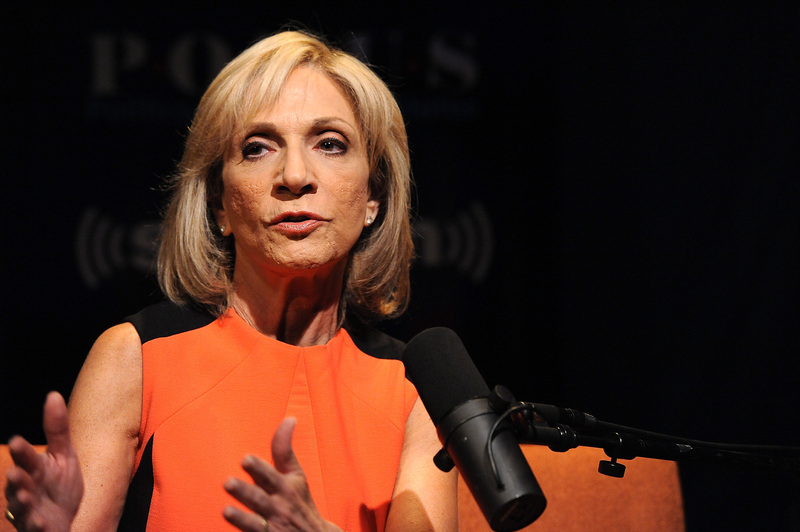 So who is Andrea Mitchell? The NBC Democratic debate moderator has been an essential member of the NBC political news team for more than a decade. Mitchell's basically a treasure chest of knowledge when it comes to all things U.S. politics, in the body of Carmela Soprano. Don't even try to tell me you don't see the resemblance. OK, maybe the older, wiser sister of Carmela. Mitchell's not a Jersey girl, though, but rather a native of neighboring New York. She grew up in New Rochelle, moving south to Philadelphia to earn her undergraduate degree from the University of Pennsylvania. There, Mitchell got into radio and broadcast news before moving to D.C. in 1976 to work for a CBS affiliate station for two years. It's at that point Mitchell joined up with NBC News in 1978. That's right — the broadcast journalist has been with the network for more than 35 years. She's worked specifically as NBC's chief foreign affairs correspondent for just over two decades. Mitchell worked her way up, though, from her role as a general correspondent in the late 1970s. In 1988, Mitchell took on the position of chief congressional correspondent for the network, and, by 1993, NBC News was calling Mitchell the chief White House correspondent. Mitchell has also had plenty of experience covering the campaign trail. She was NBC News' lead correspondent for the 2008 presidential campaign, which she followed for nearly two years leading up to Election Day. She was a constant at every presidential debate then, so she'll be right at home asking the questions during Sunday's round. And she hosts her own show. Mitchell is the lead anchor for MSNBC's Andrea Mitchell Reports, where the TV reporter discusses everything happening between Washington and the rest of the world. She's also done the honor of guest hosting the legendary Sunday morning show, Meet the Press. Even Mitchell's personal life couldn't escape U.S. politics and government. In 1997, Mitchell married Alan Greenspan, then chairman of the Federal Reserve Board. Talk about dream weddings: SCOTUS's Notorious RBG officiated the ceremony. Classic Mitchell, the journalist never strays too far from the D.C. newsroom. "It's always been hard to carve out any time for a personal life, because the news is relentless," Mitchell told JW magazine. "I've long since given up having subscriptions to concerts and sporting events." The woman is a dedicated political news junkie who really knows her stuff, making her one of the best possible choices to take on the Democratic candidates.